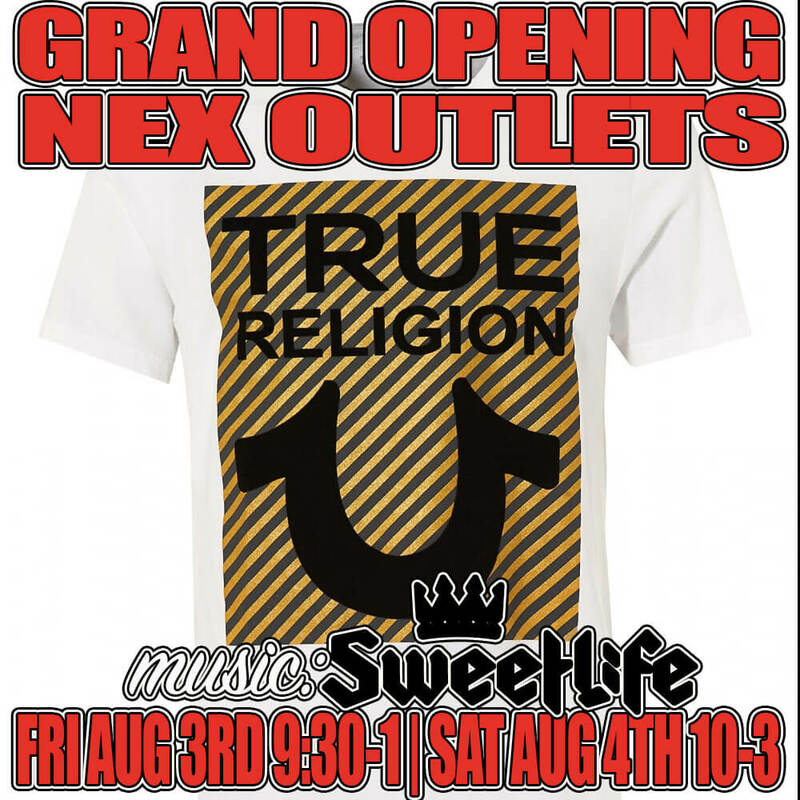 Its going down at Nex Outlets for the 2 day True Religion grand opening! Yours truly on the soundtrack! Catch me Friday Aug 3rd 9:30-1 and Saturday August 4th 10-3! All the hits and classics for your UNIQUE shopping experience!